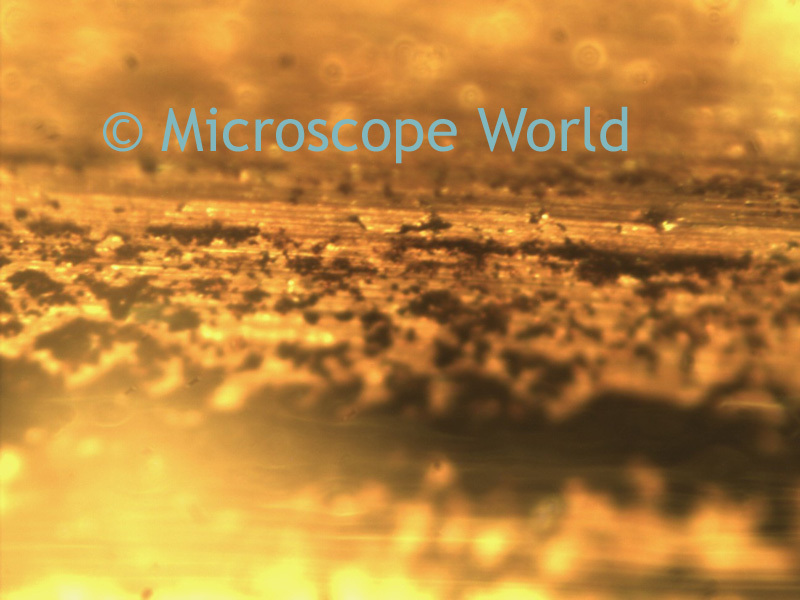 Viewing metal through the microscope can be tricky. Not only does the surface reflect light and sometimes cause hot spots in photographs, but many times the metal is not a flat surface. When viewing items with uneven surfaces at a high magnification, it's important to keep in mind that you won't be able to have the entire object in focus at the same time. This is because the depth of field decreases as magnification increases. 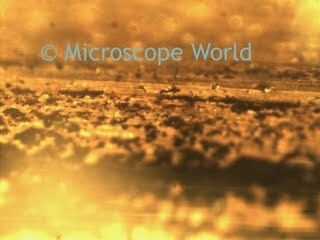 Metal can be viewed with either a stereo microscope or a metallurgical microscope. Stereo microscopes typically provide about 10x-50x magnification. A metallurgical microscope provides much higher magnification of 100x, 400x and sometimes 1000x. In a metallurgical microscope the light comes down through the objective lens to ensure the specimen is illuminated. This metal slotted gear was captured using a 150w halogen dual pipe illuminator and a SMZ-168 stereo microscope at 40x magnification. Notice how parts of the gear are not in focus because the gear does not all lie on the same flat plane.